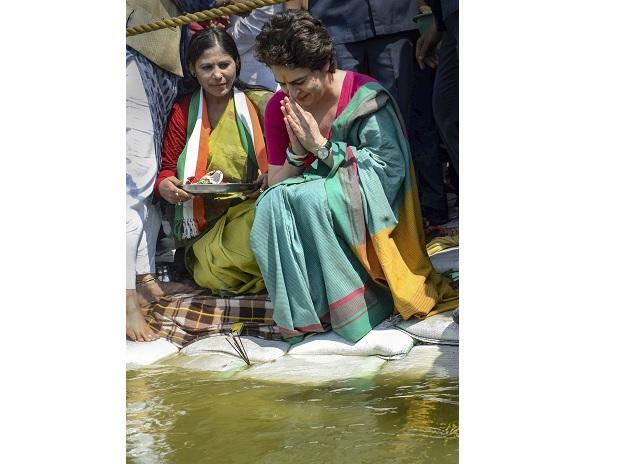 Congress general secretary Priyanka Gandhi Vadra kicked off her party's campaign for the Lok Sabha elections in Uttar Pradesh on Monday by offering prayers at the Lette Hanuman temple near Sangam. Her Ganga cruise is being seen by political observers as an effort to navigate her party out of a nearly three-decade long wilderness in the state. "Due to stagnation in the politics of the state, youngsters, women, farmers and labourers are worried. They want to share their pain and agony, but in the noise of political arithmetic, their voice is completely absent from the policies of the state," she said in an open letter.